In 1979 a covers band who played weddings and parties were looking for a rehearsal room to practice their set. They were all from the Whitehall/Beaumount area of Dublin and all were accomplished musicians who'd represented St Aidan's School at Slogadh, the traditional Irish music competition. They were offered the use of a classroom on condition they allowed Paul King and Philip O'Doherty (AKA Mao) to front the band for a few guest numbers. They agreed and the resultant band was dubbed The Poseurs. Although this arrangement didn't last very long, it did encourage those involved to pursue the band more seriously. They moved away from the wedding circuit and developed a coherent image and sound which became The Mod-Ls. 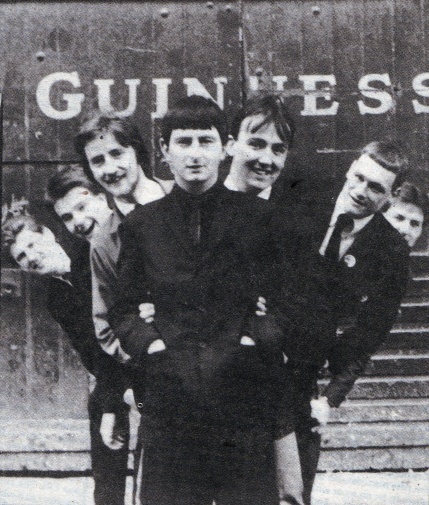 The Mod-Ls recruited three singers, Paul King, Noel Carroll and Dennis Byrne, to complement the line-up of Ed Manning (guitar), John 'Sarge' O'Hara (keyboards), Colm Fitzpatrick (bass), and Gerry Edwards (drums), plus Frank Duff (trumpet) and Joey Cashman (saxophone). Cashman was also involved in the Fast Skirts. Because of overstretched commitments he was replaced by Niall Nolan. By January 1980, having survived a first gig in Lusk Detention Centre, the band was ready for anything. They played the Magnet Bar and other venues before landing a Sunday night residency in McGonagles courtesy of venue manager Fran Quigley. This polished the band's set and they went on to play The Crofton Airport Hotel regularly on Fridays where the band made a live recording on high quality reel to reel tape. They also played college gigs and the Arcadia in Cork. 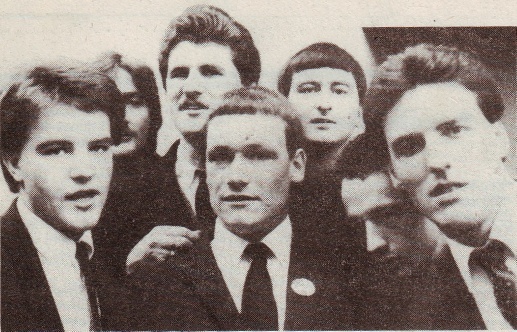 Their live set included covers of The Specials, ("Too Much Pressure", "Gangsters"), Madness ("The Prince") and the Selector ("On My Radio") as well as band originals. The Mod-ls recorded a two track demo featuring two band originals "Limbo" and "Dance Step Beat." Philip O'Doherty supplied the lyrics for the latter. This was recorded at Eamonn Andrews Studio in Harcourt Street, Dublin. 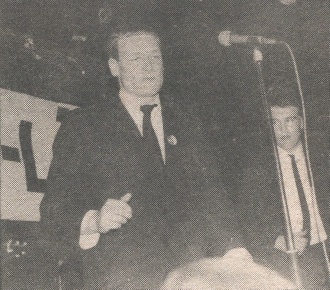 Pat James, Sunday night DJ in McGonagles and night time DJ on ARD (Alternative Radio Dublin) based in the Crofton Hotel championed the demo and interviewed and promoted the band tirelessly. Larry Gogan and Dave Fanning also played it. The band performed on the Late Late Show in March 1980 and Gay Byrne commented that the suits reminded him of a group of Mormons! As this show was broadcast live, there are no known recordings in existance (unless someone out there has it on video? if so please get in touch). Work and holiday commitments meant the band did not play during the summer of 1980 and the momentum was lost as a result. They played the Arcadia in Cork, The Ivy Rooms with a new female vocalist Edwina Ampadu (later in the Heartbeatz with Martin Meagher pre Rhythm Kings) and one final gig in McGonagles supporting Jane Aire and The Belvederes featuring Boomtown Rat Pete Briquette on bass before calling it quits. Frank Duff later in the Blue Brass with Paul Grimes who backed the Blades. John O'Hara later in Fast Skirts and (with Joey Cashman) Tokyo Olympics. The Mod-ls reformed for Paul King's 40th, 45th and 50th birthdays with Tom Hickey (ex Alsatians) on trombone. They hope to be around for a gig entitled "Still alive at Fifty Five" in 2011.